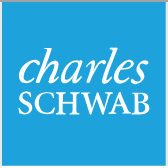 Domani Wealth has chosen Charles Schwab & Co. as one of our primary custodians. As an independent Registered Investment Advisor (RIA), this gives us access to insights, research, and a wide range of investment products and expertise. This strategic relationship also allows our advisors access to the full range of investment solutions and trading services that Schwab offers, all backed by the Schwab Security Guarantee, protecting you from losses arising from unauthorized activity.